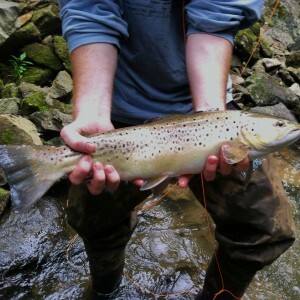 Small Stream Guided Trips in Western North Carolina | Hookers Fly Shop and Guide Service. 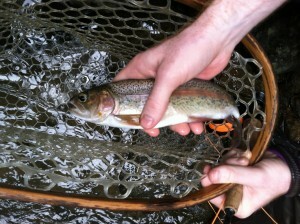 Your Smokies Fly Fishing Experience. Yesterday, I had the pleasure of guided John M. and his son John from Asheville, NC. 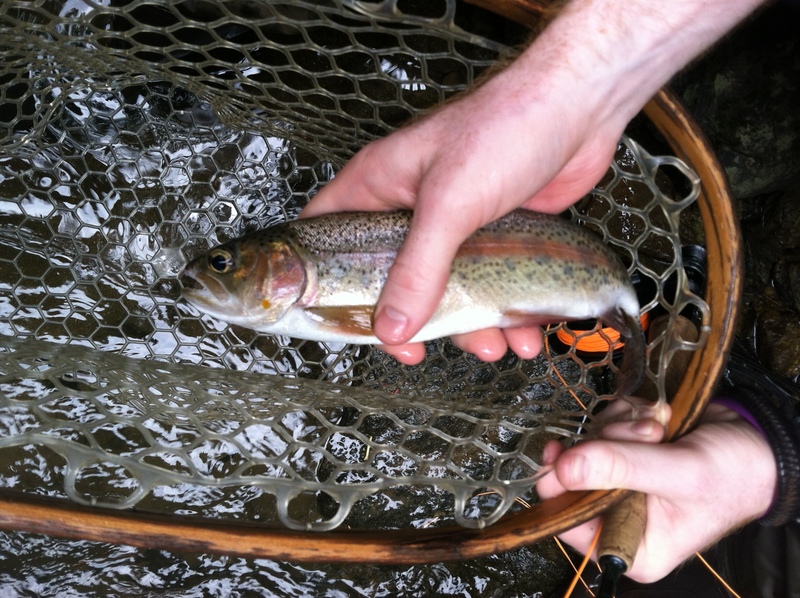 The younger John is studying here at Western Carolina University for the summer and wanted to learn the small trout streams near campus. 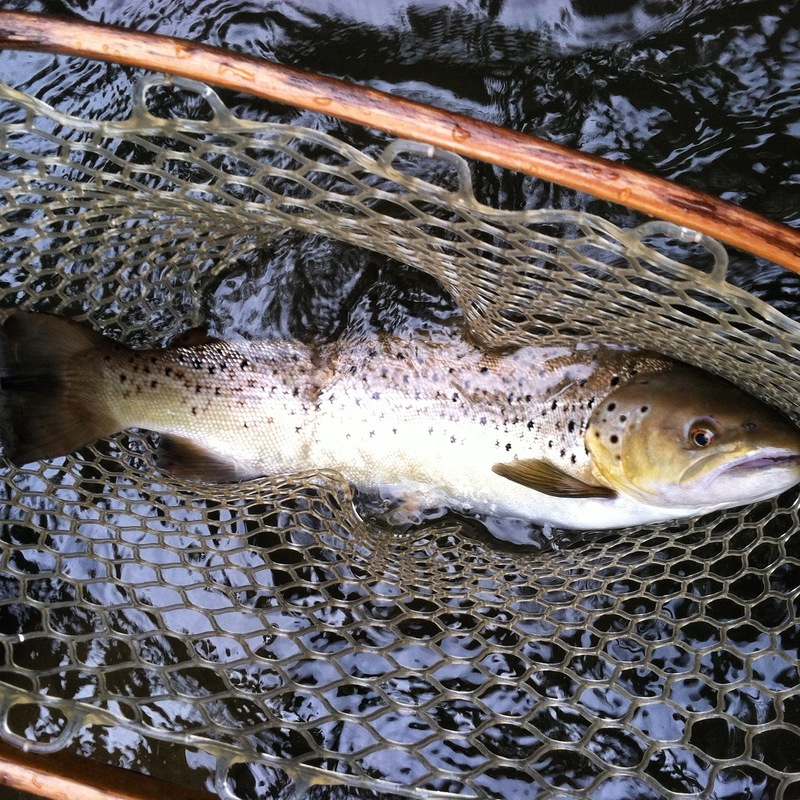 Around 30 minutes into the trip John hooked into the huge brown pictured above. After an epic 7-8 min battle we finally got her in the net. We snapped a few pictures and slowly worked with her until she could swim away on her own. Hopefully someone will have the chance to catch this beautiful trout again in the future which is the beauty of catch and release practices. Both father and son went on to put several more fish in the net throughout the afternoon. Late in the afternoon we had to cut the trip a little short due to a Thunderstorm. 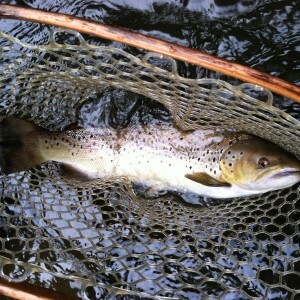 Overall it was a fantastic day on the water with some great company. We look forward to guiding these guys again in the near future.